WHen one guy realized I was taking pictures, he hid behind his sign. By the looks of his sign, he is the one who doesn’t read much. 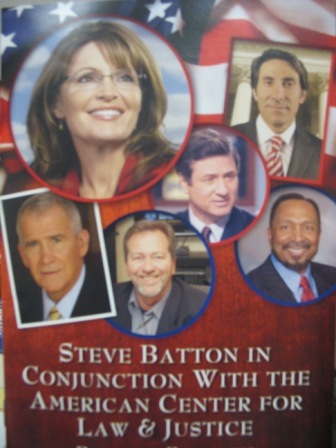 It has been proven time ever time that Sarah Palin did not ban books! 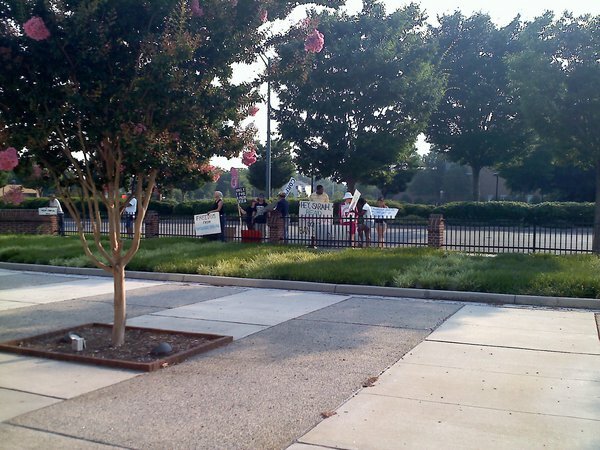 Here are a few pictures of the outside of the event. 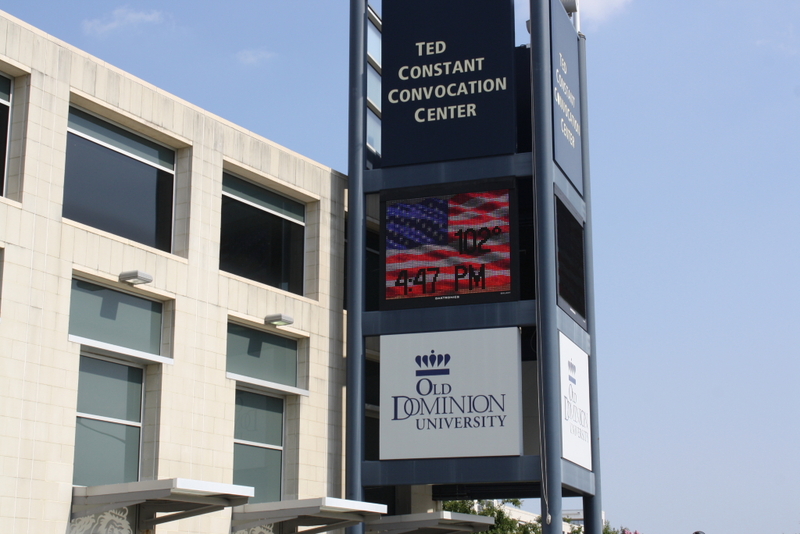 As you can see…we are having a heat wave here! Once inside, we were greeted by a table filled with items for a silent auction. 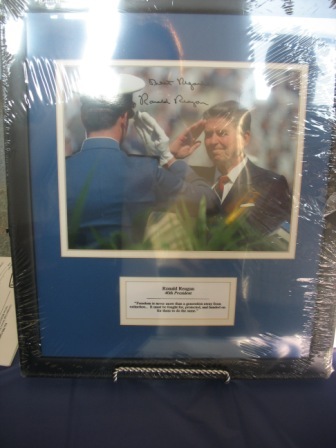 There were autographed pictures of President Reagan, Gov. 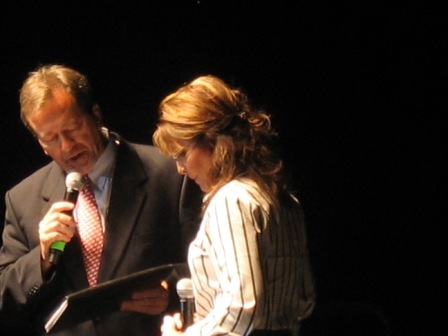 Palin, and Pres. and Mrs. Bush (43). There were too many items to photograph so here are the two I chose to share. The music set the tone for the rest of the night. Lee Greenwood was very moving and the crowd love him. Many were even signing along. I was impressed by all of the speakers that followed. Bishop Jackson was powerful and inspirational. He spoke of the libreral goal of division of country versus unity. I loved it when he said “it took my people days and weeks to reach this country but today there are planes that can take you right out…if you don’t love this country, get out.” Here is Bishop Jackson. 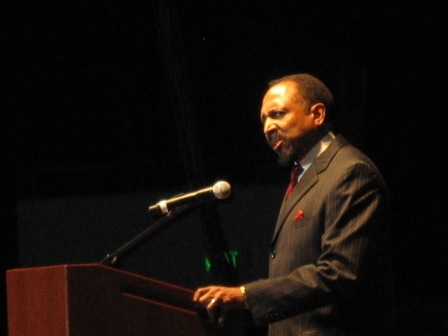 Bishop Jackson is the president of STAND – Staying True to America’s National Destiny. Please view Bishop Jackson’s website to find out about STAND and read about the Bishop. Next was Col. Oliver North. He shared with us a rare video of the work our troops do to fight terror at home and overseas. 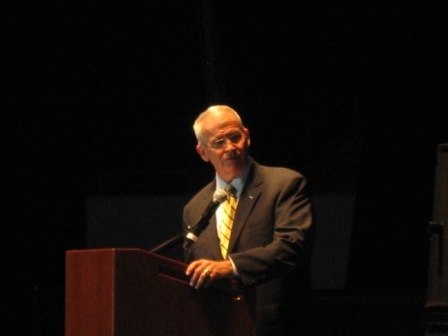 Col. North spoke of the courage and drive it takes to be a member of the greatest military on Earth. I could go on and on about each speaker, however, I will keep it short. 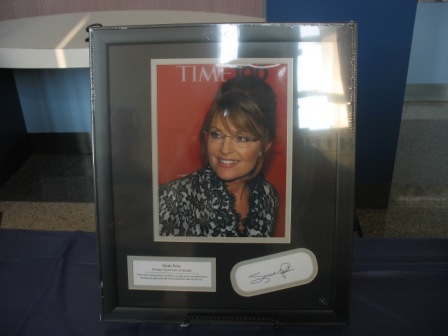 The highlight of the night and the most inspirational was of course Sarah Palin. I was able to video her speech. I did have some technical diffuculty and missed a few seconds of the speech here and there. Below is Gov. Palin’s speech in three parts. As you can see Sarah rocked the house! She was amazing. She hit back and she hit back hard. She is standing up for all of us who believe this country is on the wrong track. As she said in her speech, Washington D.C. is not listening and we need a change in administration. She understands the importance of a strong, fully funded military. She understands that we must shore up our allies and not tear them down. She understands that we ARE fighting a war of terror not man-made disasters. 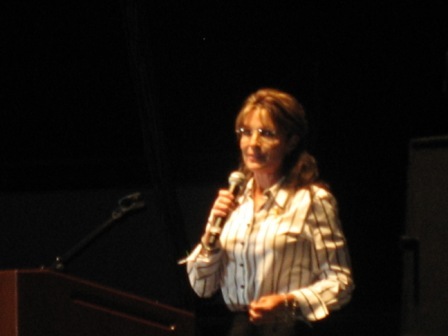 Most of all Sarah Palin understands that America IS exceptional! Punishing the Class for a few Bad Apples! Here we go again. A tragic situation has turned into a politic event. I find it difficult to understand why it has taken so long to stop the oil leak in the Gulf of Mexico and why the President feels all Americans should be punished by stopping all drilling offshore. As I pondered the President’s remarks on the BP oil spill yesterday, I decided to take a look at the time line of events since the explosion of the oil rig on April 20. Detailed time lines can be found here and here. An animated map showing the locations of the oil slick in the Gulf of Mexico for each day since April 25, when the slick was first measured can be found here. April 22: The Deepwater Horizon sank. April 29: Officials announced that approximately 5,000 barrels of oil per day was leaking and not the originally estimated 1,000 barrels a day. April 30: The oil slick was estimated to cover 6,000 square miles. May 1: A small not for profit group, SkyTruth, analyzed satellite imagery and radar images to estimate that the oil was leaking much faster than the original estimates from the officials. May 5: BP stated that they were able to plug one of the leaks. May 5: Plan to use a containment dome to stop one of the leaks failed. May12: Department of Energy Secretary Steven Chu traveled to Houston to attend meetings with DOE and national lab staff, and others to discuss solutions to cap the leak and contain the spill. May 15: Sec. Napolitano and Sec. Salazar sent a letter to BP CEO stating the BP is accountable to the American Public for the complete costs of the cleanup of the spill as well as the economic losses related to the oil spill. May 16: A riser insertion tube tool was inserted into the riser that was leaking. An estimated 2,000 barrels per day were captured by the tool. May 17: A second drill rig started drilling a second well for relief. May 19: Sec. Salazar signed an order leading to the fundamental restructuring of the Minerals Management Service. Energy and Environment Subcomittee Chairman Edward Markey asked that BP make public its live video feed of the leak point. May 23: A containment boom was deployed. Approximately 10.2 million gallons of water-oil mix had been recovered. May 25: BP began the use of “top killing” the leak by filling the leaks with mud. May 27: Pres. Obama announced that he is extending the moratorium on new deepwater drilling permits and canceled plans for Virginia while stopping drilling in Alaska. The Obama administration claims that it “will not rest until we get this situation under control,” but in practice it’s evident that it must do more to stop a potential environmental disaster from happening. U.S. Coast Guard Commandant Thad Allen probably summed it up best when he described the Obama Administration’s approach to this crisis as “keeping a close watch” while BP is tackling the problem – at the company’s own pace. While the Administration watches from the sidelines, the Gulf Coast states face some potential disaster. This raises serious questions. Should it really take nine whole days before the Administration asked the Department of Defense for help in deploying equipment needed for the extreme depth spill site? Why is Governor Jindal still waiting, 35 days later, for material needed to tackle the oil spill to protect the coast’s environment and for federal approval to build offshore sand barriers to protect his state’s coast line? Is it correct that the Coast Guard was initially unwilling to burn off the oil for fear of causing air pollution (which would have been far less harmful than the current water pollution)?These questions all require answers. In the meantime, let me make a constructive suggestion to help the White House out of its current impasse. They should reach out to the best oil and gas team in the nation and tap into its expertise. 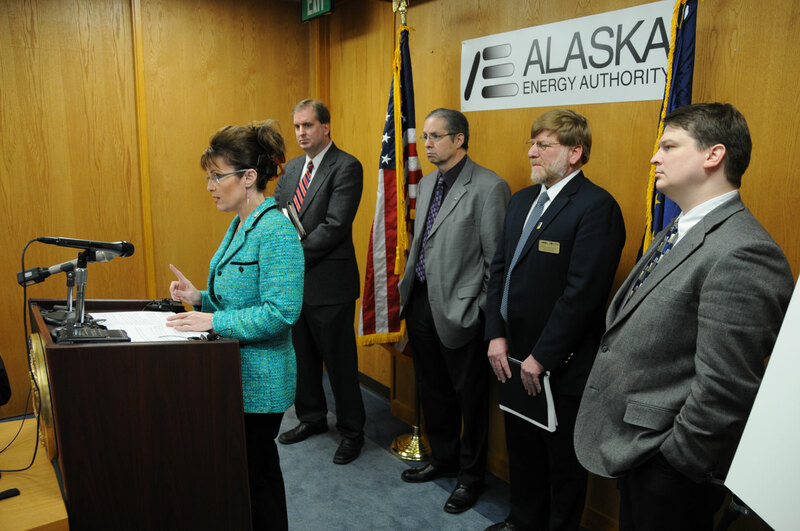 I know just the team: Alaska’s Department of Natural Resources, led by Commissioner Tom Irwin. Having worked with Tom and his DNR team as Governor, I can vouch for their expertise and their integrity in dealing with Big Oil and overseeing its developments. Please visit Gov. 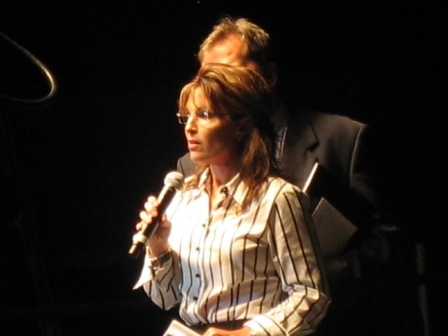 Palin’s Facebook page to read her complete statements. I do believe that Pres. Obama was successful in garnering bipartisan support, but I don’t think he got it in the way he was planning. Sen. Mark Begich spoke with Neil Cavuto on May 27, 2010. Sen. Begich (D-AK) talked adamantly about how Alaska is falling victim to the failures of BP. He criticized the president’s move to restrict drilling in the Arctic. You can watch the video here. Virginia Sen. Mark Warner (D) also stated in an article by MSNBC that he believes the president’s annoucement might affect the Commonwealth financially. The environmental disaster still unfolding in the Gulf of Mexico is unprecedented and devastating. The full attention of the federal government, as well as state and local governments and the private sector companies involved should appropriately be focused on permanently capping this leak and cleaning up the oil that has been spilled. The images from Louisiana and around the Gulf are stunning, and it will take significant time and resources to fully recover from this tragedy. 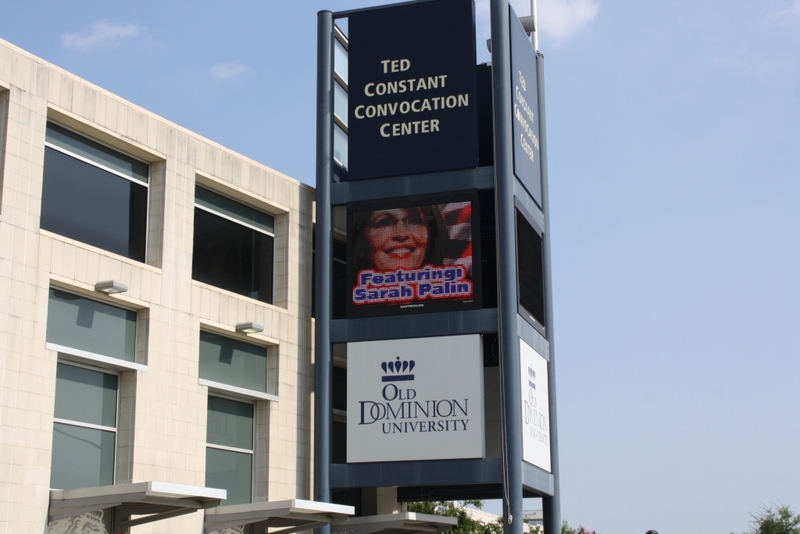 The Commonwealth of Virginia is prepared to assist in those efforts, should our services be required or useful. I have previously called Governor Bobby Jindal to inform him of our willingness to help. He is doing excellent work in leading his state’s response. Similarly, it will take significant time to fully investigate and evaluate what took place at the Deepwater Horizon rig on April 20th and in the ensuing weeks. This accident must lead to necessary improvements in offshore exploration and drilling technology and safety, and the implementation of new safeguards and regulations moving forward. This process will make it difficult to move forward with the lease sale currently scheduled off the coast of Virginia in 2012. Thus, I understand the decision the President has made today. While I respect his decision, and the need for delay and investigation, I do not believe outright cancellation was the only alternative given the fact that this sale was not due to occur until two years from now, and actual drilling would likely take place years after that. The two-year environmental impact statement already underway would provide ample information about the wisdom of proceeding on to an actual lease sale. Read Gov. McDonnell’s complete statement here. My visit to the Gulf, and this week’s Natural Resources Committee hearings have made clear to me that the federal government must focus 100% on stopping the Gulf oil spill and cleaning up the impacted coastlines. It is increasingly frustrating that 38 days into this crisis, industry and the federal government have not been able to stop the spill. The President’s announcement today to significantly curtail further offshore energy production, including canceling a planned lease sale off the coast of Virginia, while well intentioned may set a precedent that weakens our national security and increases our reliance on imported foreign energy. It is appropriate to carefully review and ensure that offshore energy production is appropriately regulated and conducted in a safe and environmentally sensitive manner. However, it is also critical that we promote responsible American made energy, including oil, natural gas, nuclear, coal, and renewable energy. 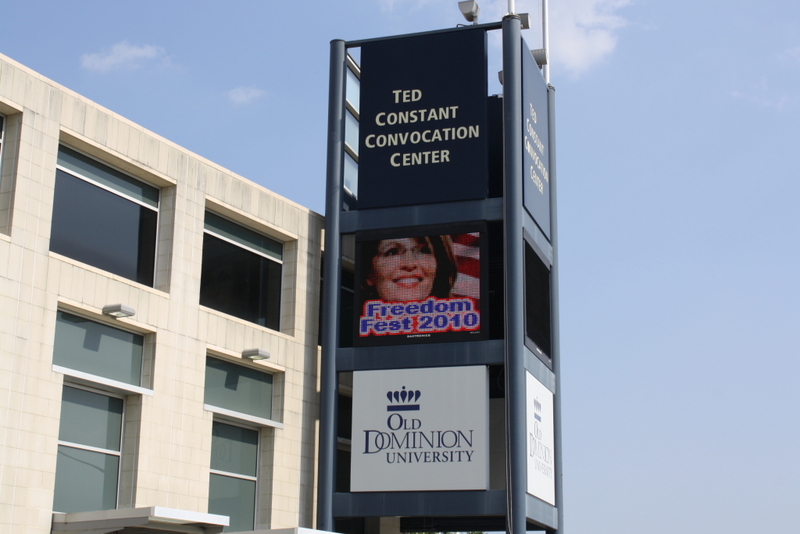 Click here to visit Congressman Wittman’s website. As a concerned citizen, I feel that our government has dropped the ball here. Instead of looking for scapegoats and placing blame, they need to listen to the people with experience to stop this current leak and to continue to drill in a responsible manner. On one final note, I give you a time line of a different sort. Below is the time line of posts to twitter by both Gov. Palin and the White House in the days after the explosion in the Gulf. April 25 Prayers for everyone impacted by the terrible oil rig disaster off the coast of Louisiana, especially families of the missing workers. There are many who feel Gov. 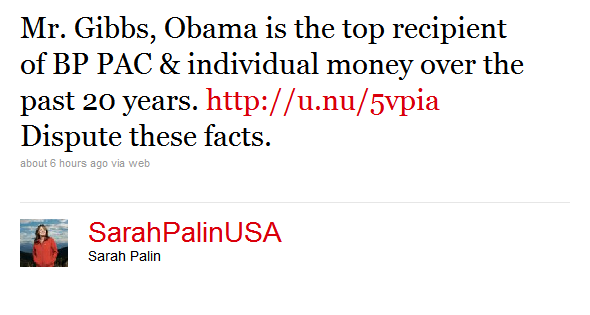 Palin is unintelligent, has no experience, doesn’t know what she is talking about. Well, I disagree. If she were in the White House, she would have responded to this crisis on day one. As you can see by the twitter time line. The current administration was late by 7 days! You be the judge. 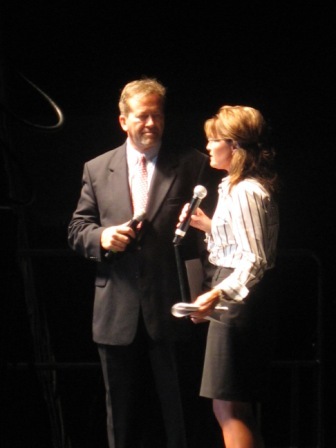 Robert Gibbs needs to do his homework before attacking Governor Palin on oil and gas issues. 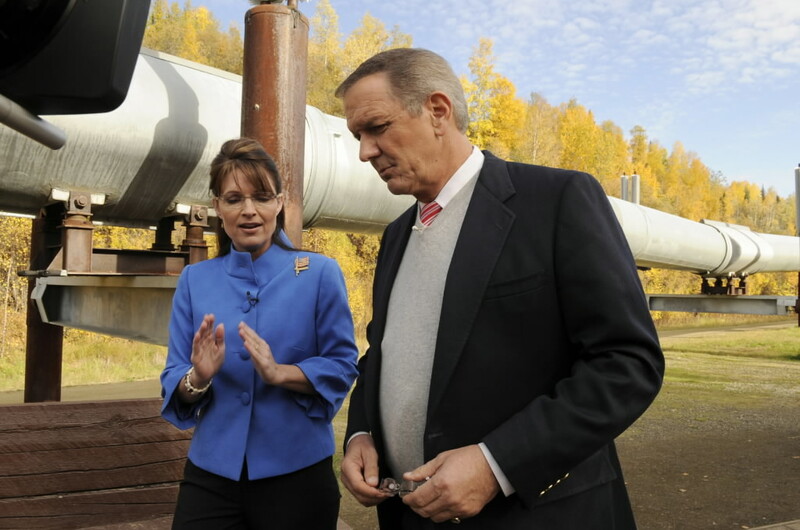 He is either ignorant of or chooses to forget Governor Palin’s credentials as the Governor and CEO of an oil-rich state and former chair of both the Oil and Gas Commission of Alaska and the Interstate Oil and Gas Compact Commission. Perhaps he also conveniently forgets her landmark achievement as Governor in making the AGIA pipeline a reality. In fact, the AGIA pipeline is so significant that Obama himself is already showing signs of either wanting to take credit for it or destroy it. The jury is still out on Pipelinegate. On top of that, the oil giant has spent millions each year on lobbying — including $15.9 million last year alone — as it has tried to influence energy policy. It looks like Robert Gibbs is the one who needs to become more informed. 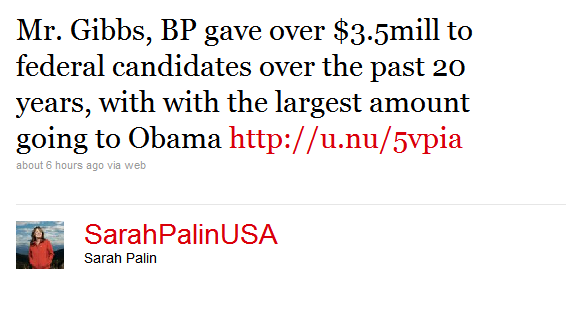 Or perhaps his attack on Governor Palin was a ruse as damage control for his boss.